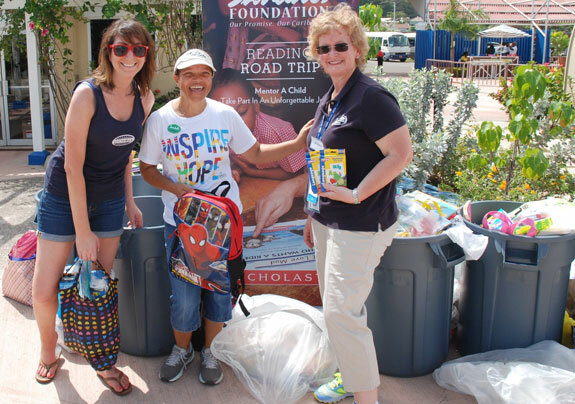 Pack for a Purpose was delighted in 2015 when Sixthman, industry leader in festivals at sea, asked guests of the 311 Cruise to truly Pack for a Purpose as they prepared to visit Jamaica. Partnering with this generous company gave us the opportunity to reach thousands of additional travelers. 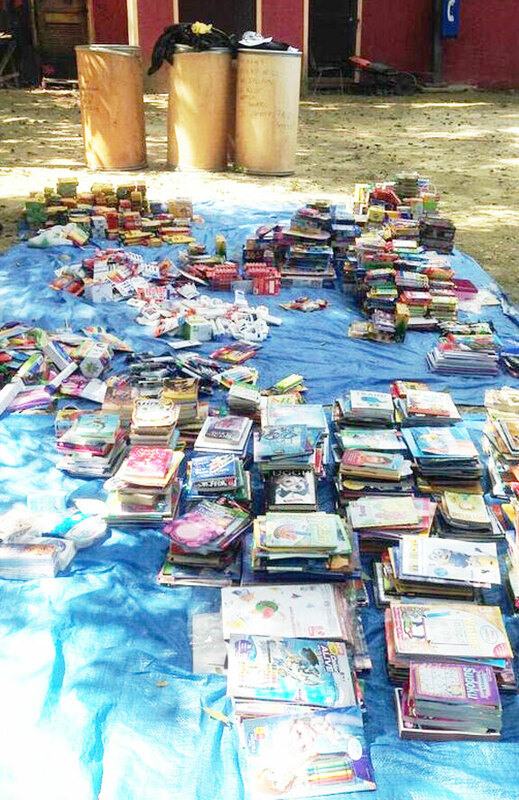 The supplies donated by the cruisers to the schools supported by the Sandals Foundation made a Big Impact! We were thrilled when Sixthman contacted us once again looking for the opportunity to Pack for a Purpose on two of their cruises this year. During the 311 Cruise to Jamaica in 2015, one of our cruisers introduced us to the non-profit organization, Pack For a Purpose. It was through this group that we connected with the Sandals Foundation in Jamaica. Our cruisers stuffed their luggage full of items to donate to Jamaican schoolchildren during our port stop in Ocho Rios. 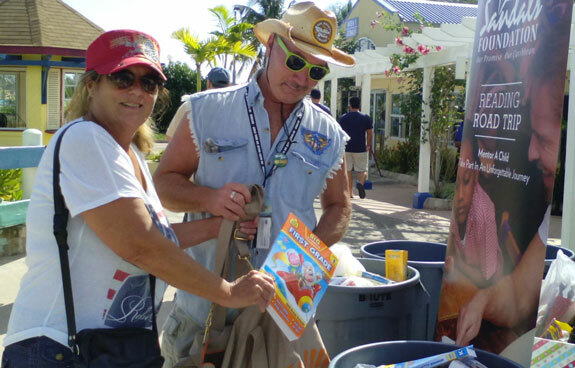 This year, Lori Dean, a guest sailing to Jamaica on Kid Rock’s Chillin’ the Most Cruise, contacted us at Sixthman when she learned of the vast need of supplies. With last year’s success in mind and knowing the extra value our cruisers received by participating with Pack for a Purpose, we chose to once again partner with the organization and seize the opportunity to do some good. Kid Rock’s Chillin’ the Most Cruise and Train’s Sail Across the Sun were the events chosen and cruisers from both communities jumped at the chance to get involved. Through Pack for a Purpose, Sixthman partnered with the Oracabessa Foundation supported by Golden Eye Hotel and Resort and the Sandals Foundation. As a Community Ambassador here at Sixthman, I was behind the scenes during both cruises working with Rebecca Rothney, the founder of “PfaP”. Thanks to their website, we had access to multiple charities in Jamaica as well as lists of specific items that were needed. With this in mind, a program was built for both cruises in which guests were asked to bring one specific item as well as a children’s book– though, to our pleasant surprise, the guests brought much more than that! As Norwegian Pearl docked in Ocho Rios, throngs of guests debarked and walked down the pier with their arms full of books, backpacks, crayons, bandages, shoes, and more to deposit in the waiting bins. “I stopped and looked in awe at the huge, overflowing, cans full of love we had brought to the people who shared their island with us”, guest Lori recalled. In the end, both communities together donated upwards of 1,000 lbs. 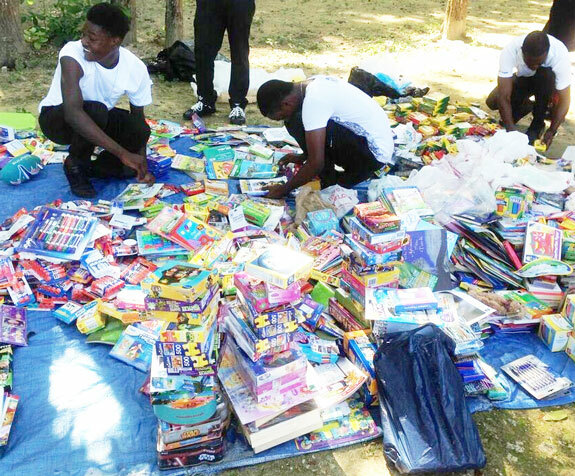 of needed items to Jamaican schoolchildren. Sixthman’s partnership with Pack For A Purpose made an impact with everyone involved, and our team was beyond happy to coordinate this experience again for our guests. It was thrilling to see the huge response from both cruise families. All of our guests were so excited about the opportunity to leave a positive impact in the midst of their vacation. Truly inspiring!